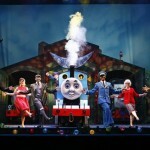 Thomas and Friends Live! 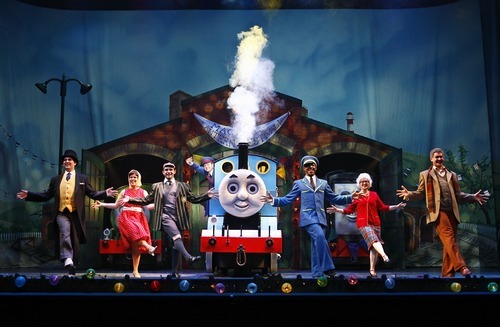 On Stage will be bringing Thomas the Tank Engine and the rest of his friends from Shining Time Station to The Theater at Madison Square Garden for two days only, on March 5th & 6th. Show times each day are: 11AM, 2PM, and 5PM. 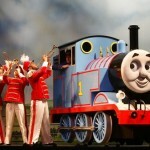 Tickets on sale now at TicketMaster, 866.858.0008 or http://theateratmsg.com/thomas-friends. Ticket Prices: $25 – $125 (All prices include $4.50 Facility Fee. Additional fees may apply.). Lady and the Blog readers can also get this SPECIAL OFFER: 15% off select tickets, click here and enter code BABY. One (1) lucky winner will receive a Thomas the Tank T-Shirt and Magic Wand! Tweet this message: “I entered the @MSGnyc @MSGEconcerts Thomas and Friend Live! on Stage giveaway from ladyandtheblog.com (@verasweeney). RT to Enter #contest #giveaway”. Become a fan of LAB’s Facebook Page. Then leave a comment on the wall saying why you love the Thomas and Friend Live! on Stage giveaway. 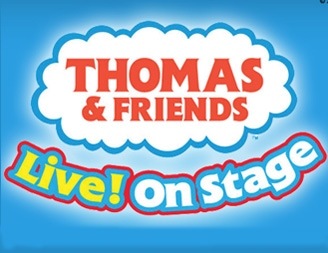 Fan Madison Square Garden and MSG Entertainment on Facebook and mention that you entered the Thomas and Friend Live! on Stage giveaway from ladyandtheblog.com. Previous Post: « RevitaLash Review: Does It Work? I left my email addy on the contest form! A fan of LAB’s Facebook! Fan Madison Square Garden and MSG Entertainment on Facebook! I’m a Fan of Madison Square Garden and MSG Entertainment on Facebook and mentioned that I entered this contest. I’m a fan of LAB’s Facebook Page and left a comment saying why I love this giveaway.